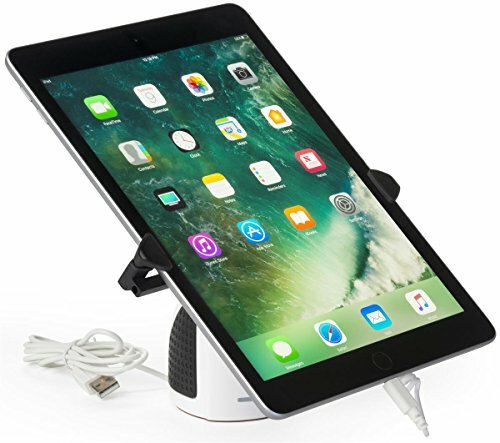 This counter mounted tablet display fits iPads between 8" and 10.1". Steel and ABS plastic construction offers a sturdy enclosure that keeps devices charged all day long. Each of these holders comes with a 45" power cord. This stand comes equipped with a 1x micro-USB, 1x Lightning, and 1x USB-C cables. Adjustable steel clamps measures 23"